Duramin-600 is designed to survive the toughest production environment. It is a universal hardness tester, operated by a robust touchscreen, and comes available in three load ranges and with an optional motorized Z-table for larger samples. Designed to last, the Duramin-600 employs industry strength components from the 400 kg frame to the display. 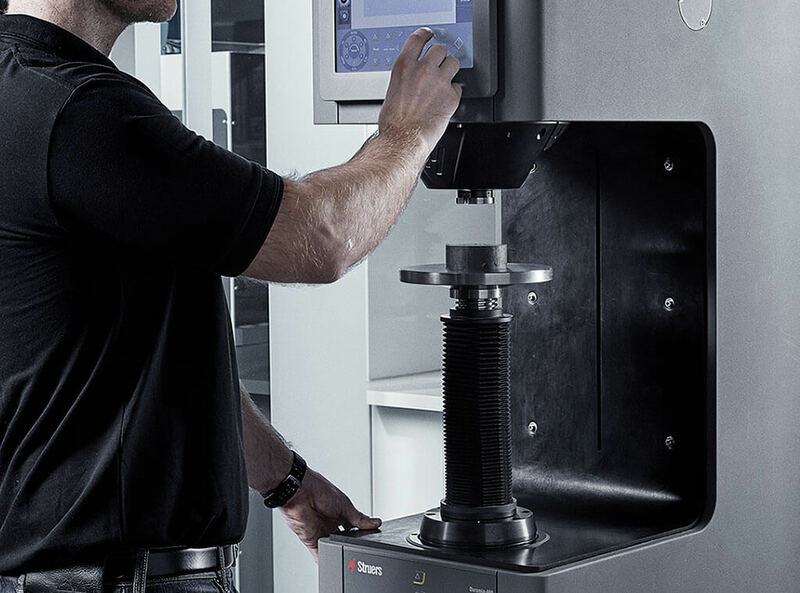 Simple clamping, combined with clean software and a touchscreen, ensure stress-free operating and result reporting. 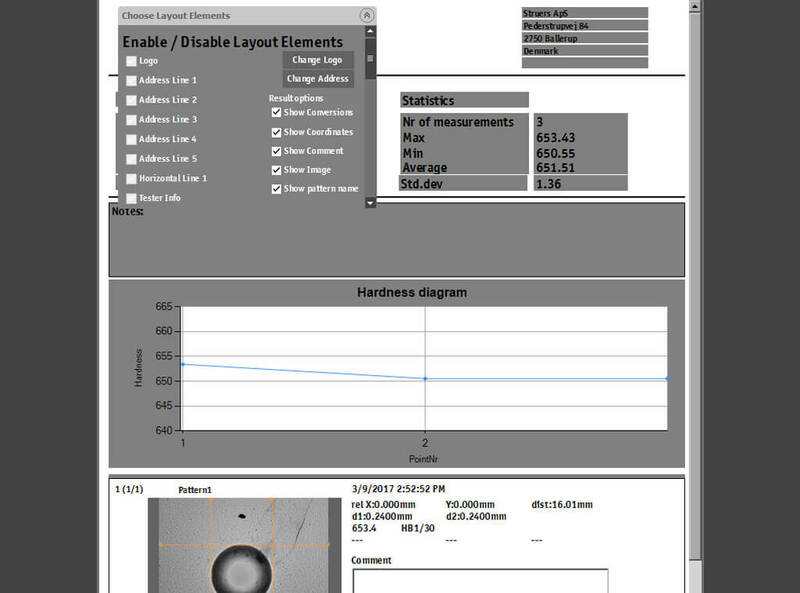 The accurate and repeatable loading system based on load cell technology, combined with advanced software algorithms, ensures specific and repeatable image and hardness evaluation. Duramin-600 is available with a six-position automatic turret, facilitating exchange of up to three indenters and three objective lenses. 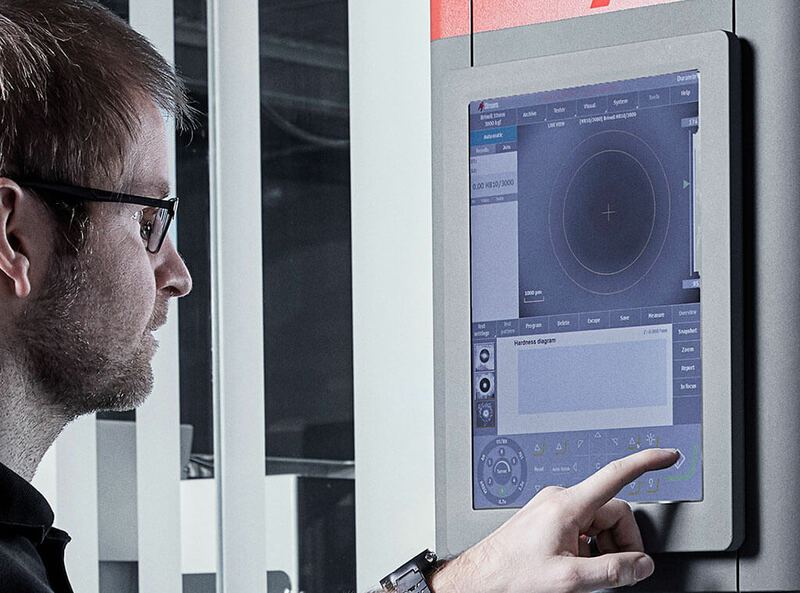 The exchange of indenter and lens runs fully automatically in each model, helping to avoid calibration and potential human errors. 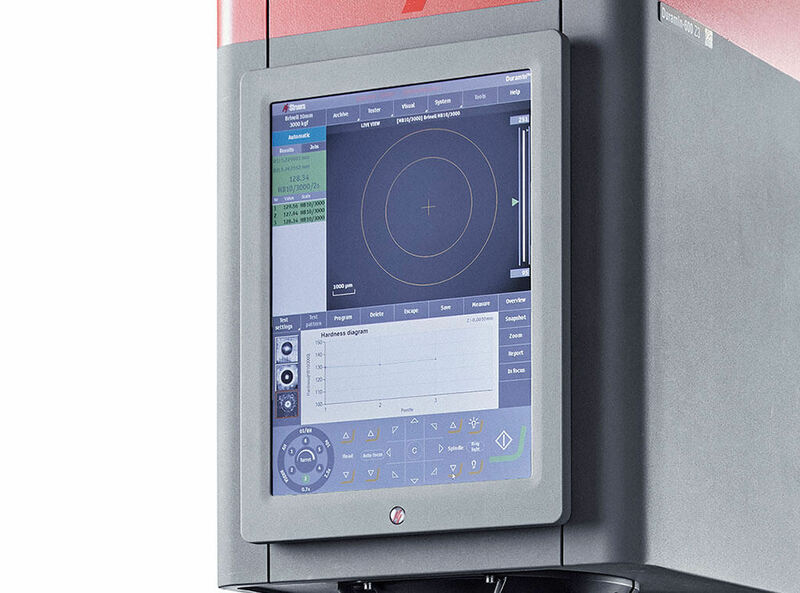 Duramin-600 is available with an optional motorized spindle. This avoids the repetitive manual adjustment of the test anvil. The Duramin-600 is built using a rigid metal frame that is ideal for rough conditions. 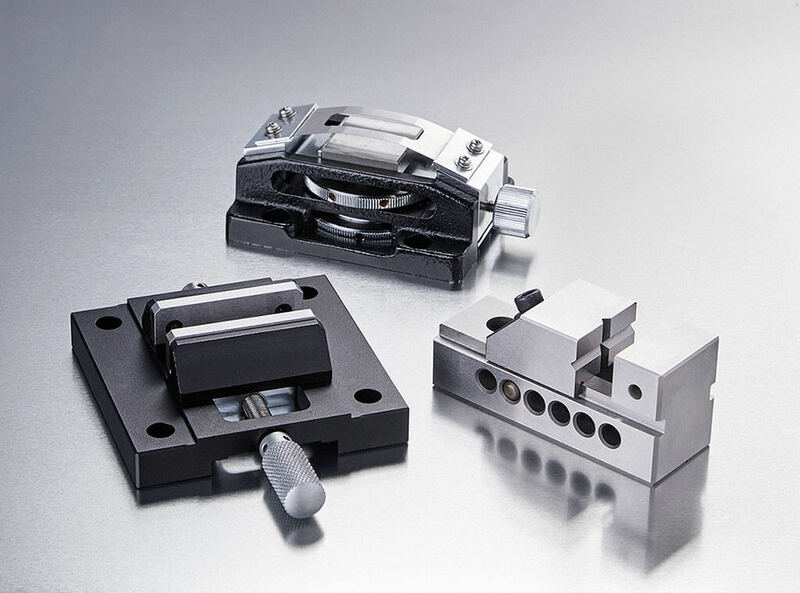 A variety of clamping devices and fixtures are available. Duramin-600 is operated from a large 15-inch color touchscreen. Measurement data can be exported in various formats and saved on a USB stick or network. 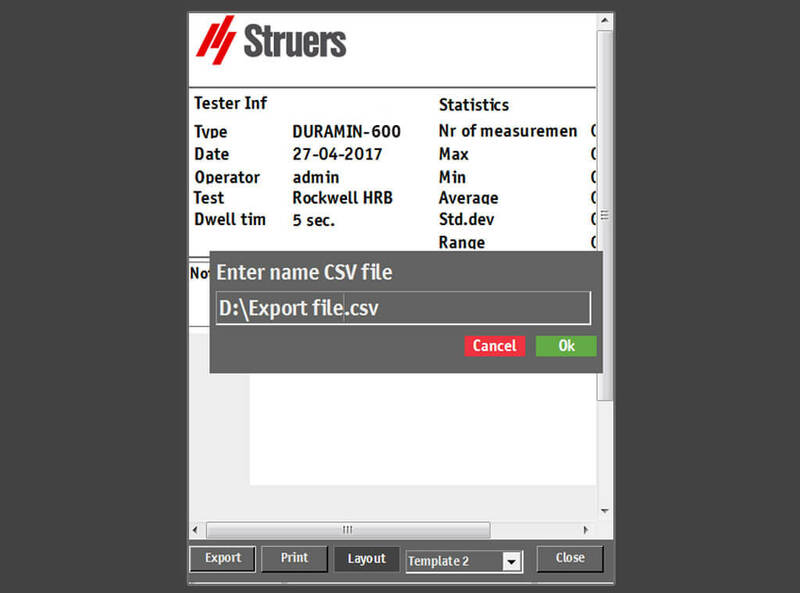 Test reports and measurement data can be easily generated and exported. The machine automatically stops in the event of a work piece collision or any unexpected vibration or movement. This prevents damage to indenters and secures safety for operators. The Duramin-600 models come with a motorized, six-position turret, automatic illumination adjustment, auto focus, and automatic image evaluation as standard. The maximum sample height is 330 mm, with a throat depth of 260 mm. Duramin-600 is operated via a 15-inch color touchscreen. Objective lenses and indenters are ordered separately. All Duramin-600 M models come with manual Z-axis adjustment. 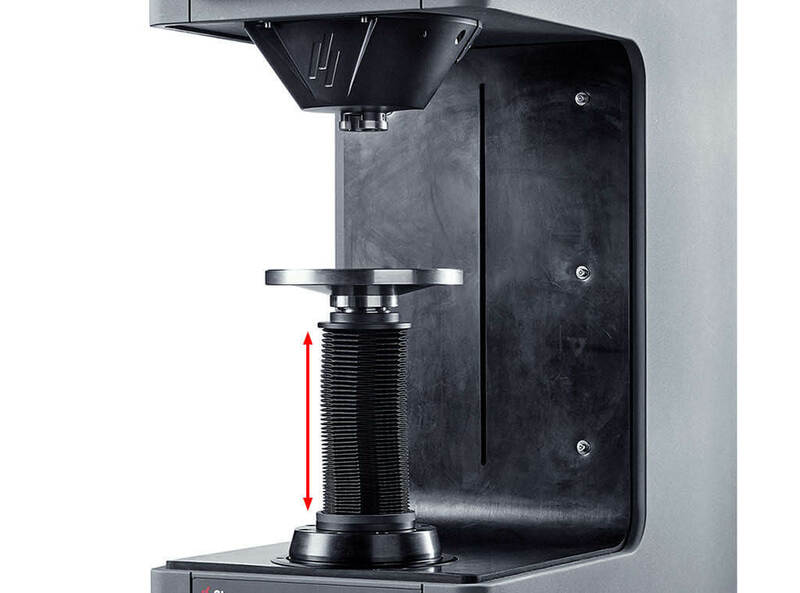 All Duramin-600 Z models come with a motorized Z-axis adjustment. 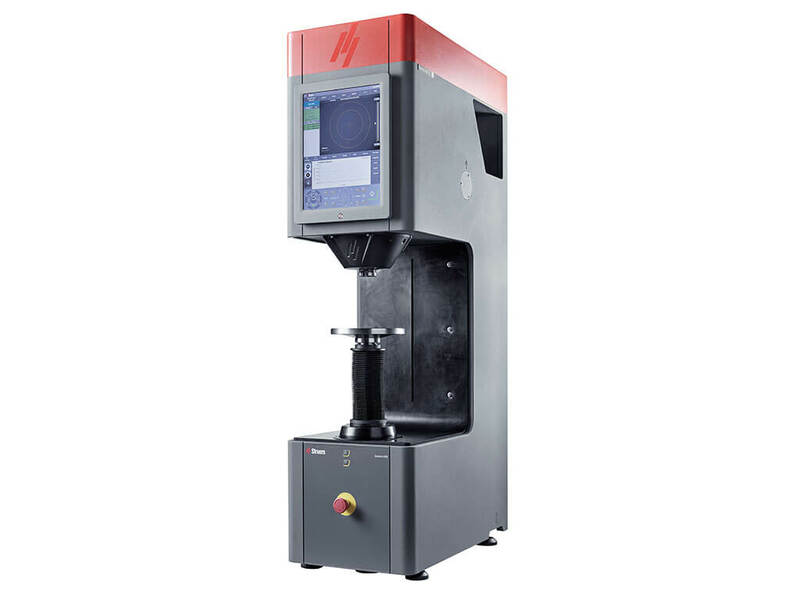 Universal hardness tester with load cell technology for the automatic hardness testing of Brinell, Vickers, Rockwell, and Knoop With an extended load range of 9.8 N to 2450 N (1-250 kgf).